The net is closing around Angola’s Vice-President, Manuel Vicente, the former CEO of the country’s oil giant Sonangol and a man long accused of being a conduit for the diversion of oil revenues into international business deals linked to the Angolan President, his family and close associates. He faces charges in connection with the alleged suborning of a Portuguese prosecutor. Orlando Figueira, in 2013 to set aside an investigation into money-laundering involving the purchase of a US $4 million luxury apartment in Lisbon. Both the prosecutor and Vicente’s lawyer, Paulo Blanco, have also been indicted on charges of violating court confidentiality regarding the investigation into the Angolan subsidiary (BESA) of the Banco de Espirito Santo (BES), which collapsed in 2014. If proven, then by suborning the prosecutor, the Angolans succeeded in interfering with the course of justice in Portugal to prevent any prosecution in the BESA investigation which, by unravelling the real estate purchase, had discovered that Vicente and two other senior Angolan officials were the real figures behind the US $375 million acquisition of 24 percent of BESA’s shares by a company named Portmill. According to the indictment, the prosecutor Orlando Figueira, also breached court confidentiality by photocopying all the relevant documents and passing the information to Vicente’s Portuguese lawyer, Paulo Blanco, who in turn emailed them to the Attorney General of Angola. These latest indictments are partly the result of an investigation into a complaint arising from the publication by Maka Angola of a report entitled “The Angolan Presidency: The Epicentre of Corruption“. 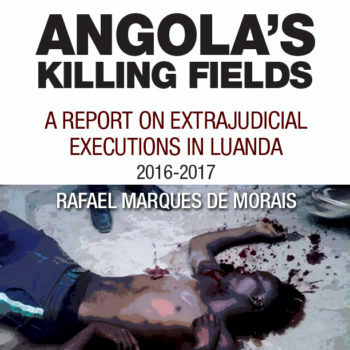 As its author, Rafael Marques de Morais testified to the Portuguese judicial authorities, Figueira was promptly – and illegally – sharing his testimony with the Angolan authorities. The ongoing investigation by the Portuguese Criminal Investigation and Penal Action Department (DCIAP) has reportedly uncovered a pattern of unsecured loans by BESA which they say has incurred losses of more than US $6.8 billion. According to reports in Portugal, the recipients of these loans without collateral belonged to the Espirito Santo group, to companies linked to Álvaro Sobrinho (BESA CEO to 2012) or to firms linked to Angolan government officials. 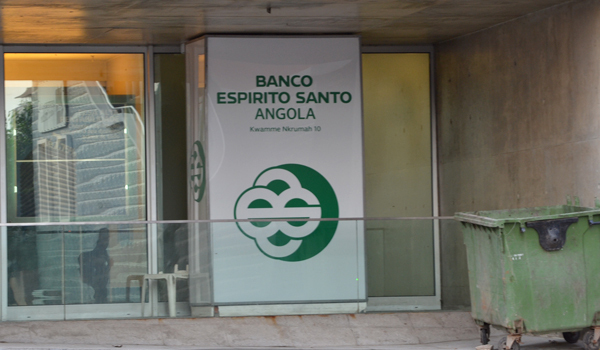 The Banco Espirito Santo Angola was set up in 2002 as the Angolan subsidiary of one of Portugal’s oldest and most venerable family banks, the Banco Espirito Santo (BES). Family head Ricardo Espírito Santo Salgado was the CEO who approved the deal and who personally selected Álvaro Sobrinho, a dual Portuguese-Angolan national, to head BES Angola (BESA). Sobrinho would report directly to Salgado’s cousin, BESA chairman Ricardo Abecassis Espírito Santo who in turn was responsible for ensuring Salgado was fully across BESA activities. In 2004, according to Reuters, “BES sold 19 percent of BESA to a company named Geni, controlled by Isabel dos Santos, the president’s billionaire businesswoman daughter. In 2009, it sold 24 percent to Portmill”. The records show that Portmill Investimentos e Telecomunicações was owned by “The Triumvirate“, the name given to the Angolan President’s three most trusted associates: Angolan Vice-President and former Sonangol CEO Manuel Vicente, General Manuel Helder Vieira Dias Júnior, known as “Kopelipa”, the minister of State and President’s Security Chief, and General Leopoldino Fragoso do Nascimento, known as “Dino”. In June 2009 the Triumvirate transferred 99.96 percent of Portmill to Lieutenant-Colonel Leonardo Lidinikeni, an officer in the President’s security detail and Kopelipa’s direct subordinate. Lt Col Lidinikeni is thought to be a straw man – the “nominal” owner only – with control over the shares remaining with his boss and the Triumvirate as evidenced below. The sale of 24 percent of BESA stock to Portmill, approved by BES CEO Ricardo Salgado, was valued at US $375 million. Payment was transferred from the Angolan Investment Bank (BAI) to BES in two tranches in December 2009, totaling US $400 million. As yet there has been no explanation for what happened to the residual US $25 million. Curiously, Portmill had no recorded business activity prior to being awarded this giant loan from the BAI. And Lidinikeni had no conceivable source of income to finance the acquisition of Portmill from the Triumvirate, let alone provide collateral for a US $400 million dollar loan. Manuel Vicente, then Sonangol CEO, was simultaneously serving as a Vice-President on the Board of the Angolan Investment Bank (BAI) and held five percent of BAI shares. To have authorized the US$400 million BAI loan to his own company, Portmill, would have been an egregious conflict of interest. Engaging a subordinate officer to front Portmill for himself and his partners (Kopelipa and Dino) appears to have been a barely-concealed manoeuvre to avoid scrutiny. Meanwhile both banks were failing. BES had been brought to its knees, systematically drained of funds by the Espirito Santo Group and over-exposed to the unrecoverable debt burden of its Angolan subsidiary. BESA’s extraordinarily high loan/deposit ratio and deteriorating loan book made it overly dependent on the parent bank, BES. Between 2009 and 2013 BESA was found by its auditors (first KPMG, then Deloitte) to have lent more than US $5 billion (the Portuguese investigators now think it was more than US $6.8 billion) in unsecured loans to “unknowns” with next to no chance of repayment. The auditors’ red flags had led to a change at the helm, with Rui Guerra taking over from Álvaro Sobrinho in late 2012. Guerra’s frank report of the bank’s situation led to mayhem at the 2013 BESA Annual General Meeting and caused panic at the bank’s Portuguese parent. It is also credited with having given ammunition to the various Portuguese investigations into money-laundering and corruption involving the Espírito Santo family and their associates. Amid mounting alarm in Portugal, the Angolan President is believed to have assured the BES CEO, Ricardo Salgado, at a face-to-face meeting that this five-billion-dollar hole in its capital would be covered by a state sovereign guarantee. The BES collapse came on August 1, 2014, when the Bank of Portugal intervened, splitting BES into two and nationalizing the “good” part of the bank. The Angolan debt remained in the non-nationalized “bad” part. Two days later the Bank of Angola placed BESA into administration and revoked the sovereign guarantee. The Portuguese investigation into the bank’s failure uncovered a paper trail showing hundreds of millions of dollars were transferred into accounts linked to BES directors and administrators, in particular to Ricardo Salgado, Amílcar Morais Pires and Álvaro Sobrinho. For example, Swift records revealed by the inconclusive 2011 Monte Branco (White Hill) money-laundering investigation showed transfers of US $13.8 million to the Panamanian-registered company, Savoices, owned by Ricardo Salgado and US $13.5 million into another Panamanian-registered company, Allanite, owned by Amílcar Morais Pires, another BES executive. Both companies were listed as clients of Akoya, a Geneva-based asset management company which counts former BESA CEO and dual Angolan and Portuguese national Álvaro Sobrinho as partner, shareholder and board member. Investigators unraveled a complex web of share transfers between Angolan officials close to the President which suggested that BESA had been used as a vehicle for laundering the illicit diversion of Angolan state funds. They had no jurisdiction to investigate the Angolan angle but the money laundering and tax evasion investigation centered on Akoya, had put the Portuguese side of the BES operation and Ricardo Salgado himself under the microscope. Inexplicably – given the wealth of evidence uncovered – in November 2013 the Portuguese public prosecutor, Orlando Figueira, determined there was not enough evidence to proceed and archived the case against Manuel Vicente. This and other unlikely developments sparked a new investigation by Portugal’s Judicial Police (PJ), dubbed “Operation Fizz” which discovered that shortly before announcing his surprise decision, Orlando Figueira had received two bank transfers of 200,000 Euros apiece, routed through a firm named Primagest linked to Sonangol. They suspected this was a direct bribe from one of the Angolan principals in the Monte Branco investigation (Sonangol’s then CEO Manuel Vicente, now Angolan Vice-President) to induce the prosecutor to abandon the case. Last week, Orlando Figueira was formally charged with corruption. The Portuguese lawyer who represented Manuel Vicente, Paulo Amaral Blanco, was also named as a defendant and all the documentation relating to his Angolan client was seized from his office under warrant by the Judicial Police. Then came the formal announcement that Manuel Vicente himself would also be named as a defendant – a development that has yet to be made public in Angola by the government-controlled media. For President dos Santos and his associates this is an alarming development. It is almost inconceivable that the Angolans will allow Manuel Vicente to be extradited to Portugal. Vicente simply knows too much. Evidence of the involvement of the “Triumvirate” is all over the case in spite of attempts at a cover up. After the BESA investigation was shelved in 2013, Ricardo Salgado told a Portuguese parliamentary commission of inquiry that he was certain that no BESA funds had gone to members of the Angolan government. Yet his testimony also revealed that Generals Dino and Kopelipa played an active role as shareholders, for example taking part in the BESA Annual General Meeting in October 2013 in which their anger was such that the meeting had to be adjourned. Salgado’s testimony had the effect of confirming that General Kopelipa was participating in the BESA General Meeting representing Portmill while simultaneously occupying the position of State Minister and Intelligence Chief for the Angolan President. It’s also been revealed elsewhere that “in his capacity as the representative of Portmill”, General Kopelipa held a meeting with Salgado and other partners in BESA, to discuss the bank’s financial crisis. It should be underlined here that General Kopelipa has testified to both the Angolan and Portuguese authorities that he had no link to Portmill. Attempts inside Angola to call for an investigation and possible prosecution of those Angolan officials involved in the BESA scandal have come to naught. Maka Angola’s founder, Rafael Marques de Morais, filed a complaint in 2012 but, based on their verbal denials, the Attorney General’s office concluded that none of the Triumvirate had links with Portmill and therefore were not connected to any of the alleged crimes of corruption or conflict of interest. This is in spite of the fact that the Angolan Attorney General was in possession of the Portuguese court documents. Rafael Marques de Morais thinks it is highly unlikely that the current Angolan Attorney, General João Maria de Sousa, would be willing to investigate, given his allegiance to the high-ranked officials involved and his own involvement in a corrupt act, denounced by Maka Angola, which has led him to sue Marques de Morais for alleged defamation. All the same, the culmination of Operation Fizz, could mark the start of an unprecedented upheaval in the relationship between Portugal and its former colony. Angolan money controls a considerable amount of blue chip stock in Portugal. Portuguese investors are heavily involved in Angola. Is the Portuguese justice system going to be allowed to proceed impartially against elite figures from the two countries? Opening this ‘can of worms’ would have major implications not just for the Portuguese but for the Angolan President and his associates who could find themselves facing international criminal proceedings. Is it likely that President José Eduardo dos Santos, who has promised to step down after 38 years in charge, might be about to sacrifice a man who knows so much about the diversion of Angola’s oil revenues?